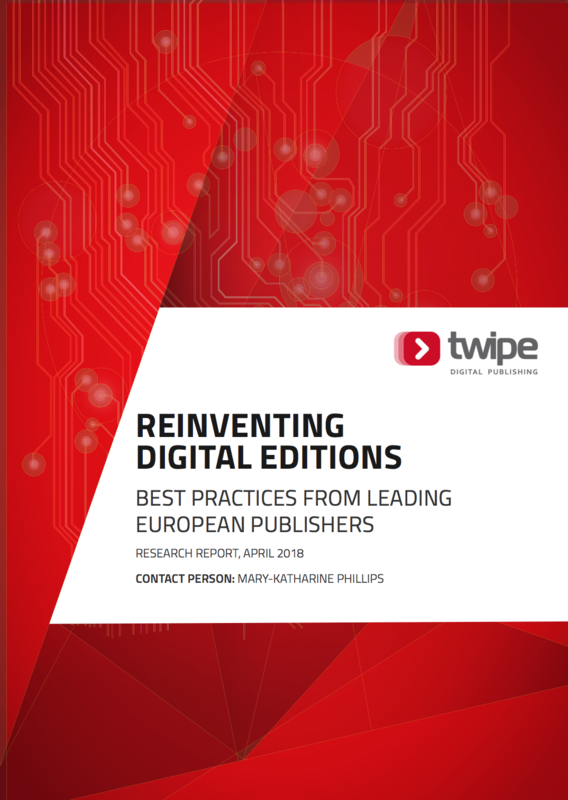 These pioneers have paved the way to the future of digital edition based publishing, that’s why at Twipe we launched the research project “Reinventing Digital Editions” last year. Our research started with the aim of first listing all of the digital-only editions that existed, but we quickly found that the market was not as mature as we had expected. Other than a few stand out examples, there are not many digital-only editions available today. From this we wondered what had driven the creation of these editions and what commonalities they had that led to their success. Analysis of the editions served as the first ever benchmarking for digital-only editions, and found common factors in terms of format and navigational structure, publishing frequency and time, length and amount of non-news content, and features. In addition to the analysis, interviews with leaders behind these editions revealed the key motivations in developing new innovative, digital-only editions. Some of these digital-only editions replace the entire print publication, like The Independent, which became digital-only due to business needs. Other editions target new, complementary audiences, like L’édition du Soir (Ouest-France). Ouest-France noticed a trend in their readers of wanting something more light-hearted to read in the evening, so they created L’édition du Soir which has an emphasis on games and interactive stories. Other editions, such as Welt Edition, come from a pure desire to innovate—when they first started development, they didn’t even know what the iPad would be called, they just knew they wanted to be the first on the German market with a newspaper tablet app. The rest of the editions emerged from a need to serve time-crunched readers who feel overwhelmed by the constant onslaught of news. The Economist’s Espresso is one such edition, positioning itself as a “shot of daily news” for people on the go. From the benchmarking and common factors of the editions themselves plus interviews with the innovation leaders, six key best practices for digital-only editions emerged. Download your own free copy of the full report now.